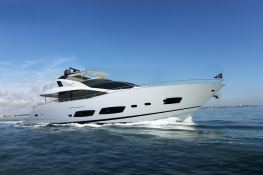 Breathtaking and bold, The Sunseeker 28 Metre Yacht will inspire you. 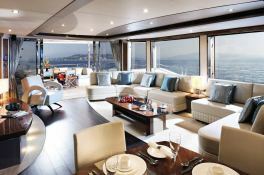 Comfortable, vast, luxurious and extremely functional, the interior is exquisitely charming and benefits from impeccable expertise and artistry. 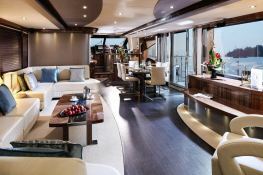 The dining area displays sophisticated and stylish surroundings. . On the foredeck, large sunpads and cozy seating areas are ideal for an al fresco diner. 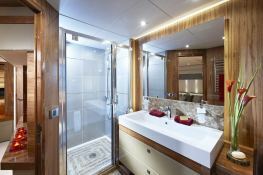 The Sunseeker 28 Metre luxury yacht truly dignifies the high standards of a luxury yacht charter. 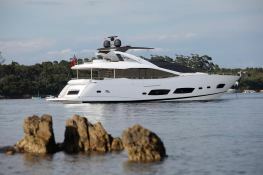 Autumn, built in 2015 by Sunseeker, is a fantastic 28.15M motoryacht which welcomes up to 8 guests on board with a crew of 4, and can reach a cruising speed of 23 knots thanks to its hp engines. 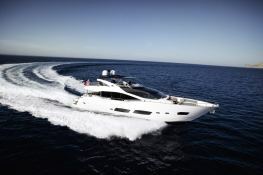 This Sunseeker Yacht 28M is available for luxury charter around Balearics. Autumn is equipped with air conditioning, generator, jacuzzi and also waterski and DVD for a great luxury charter experience. 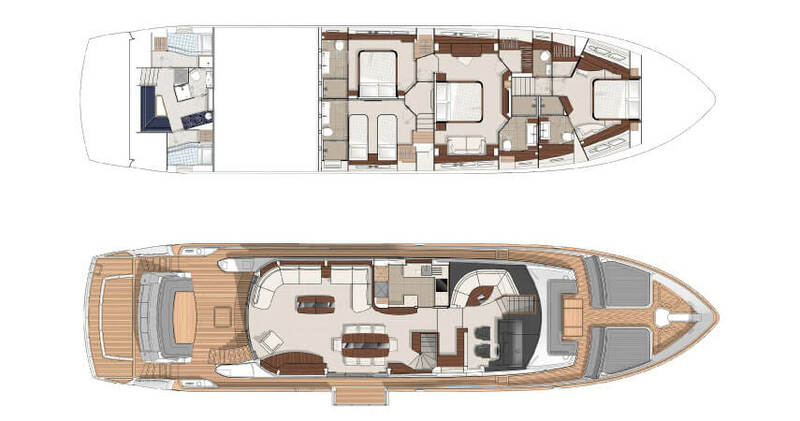 Autumn is available for yacht charter with a base price of 55 000 € (approximatly 62 026 $).